These are the other babies, past and present, who are/were a peripheral part of the sanctuary - meaning they are our personal pets with no major special needs. Eddie - The big guy top left that looks suspiciously like Izzy is Eddie Vedder (Eddie, Ed, Edward). He is a flame point Siamese with cool orange rings around his tail. 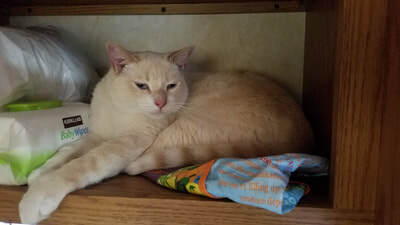 Eddie is a lover but bullies the girls at times, loves to play with the guys...and boxes...he adores boxes...the smaller the better! 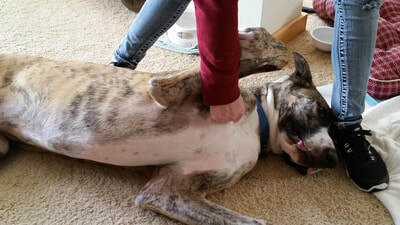 Lincoln - The Great Dane rolling on the floor like a big baby is our perpetually young at heart, Lincoln. He loves the cats! His job is to keep unknown people and threatening things away from them, which he does quite well. Senna - Senna is the Golden Retriever in the bottom left photo. He died just as the sanctuary was getting started. No dog will ever love like Senna, though Phoenix came close. Senna lived to be 15- we miss him terribly every day. 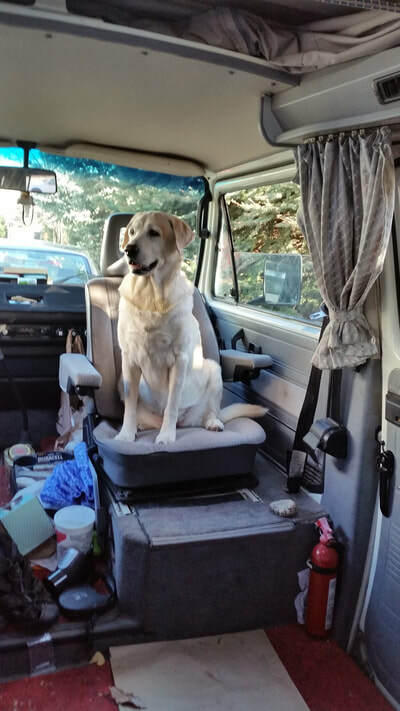 Kelsey is the blonde lab in the photo with Senna and bottom right where she is co-piloting our camping trip in the van. She is still with us at age 13. 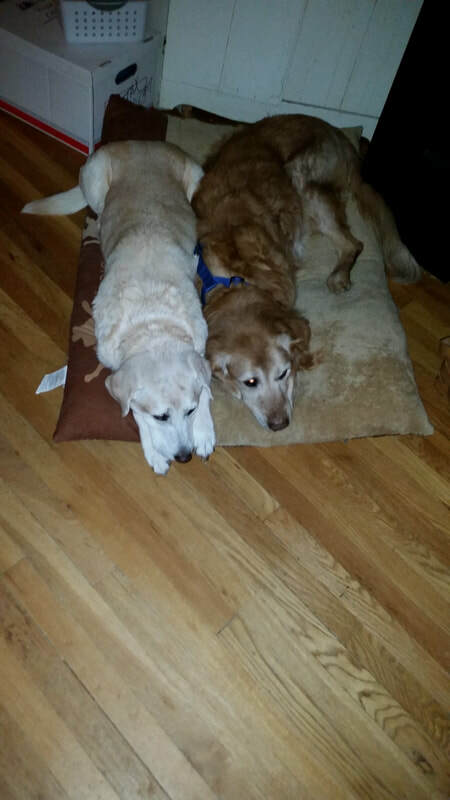 LuAnn got her at 6 weeks old for Senna, who was grief-stricken over the loss of the black lab he grew up with. Senna raised Kelsey like his own, though she took control at about three months!